Sometimes what you see really is what you get. It doesn't happen so often, but this weekend I found myself receiving pretty much exactly what I asked for. 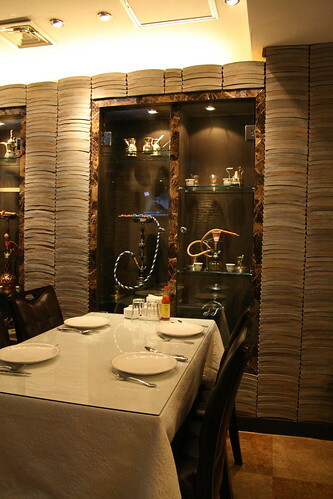 I was visting the Arabian Restaurant in Itaewon, looking for something with a middle eastern flavour to satisfy my desire for sheep. According to its Iraqi owner, the restaurant has been open about seven months and has both a Syrian and a Lebanese chef. 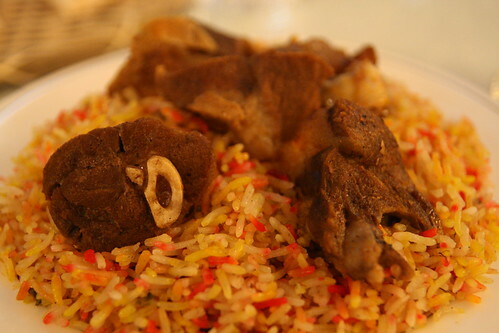 The menu has three main features: lamb, chicken and rice. There are other little side dishes and menu items, but these three comrades make up the majority of the food served here. 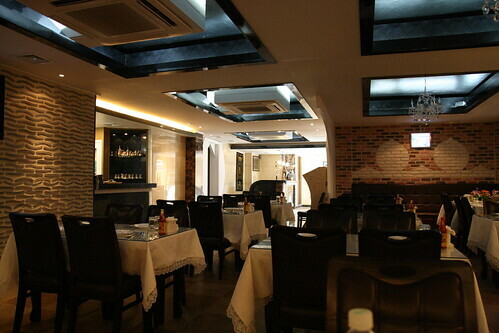 The restaurant itself is quite dark and feels as if it used to be a night club, a flat screen tv played music videos from the arab world and there were framed photos of Iraq on the walls as well as the obligatory hookahs which seem to make their way into every even vaguely middle-eastern restaurant in Seoul. 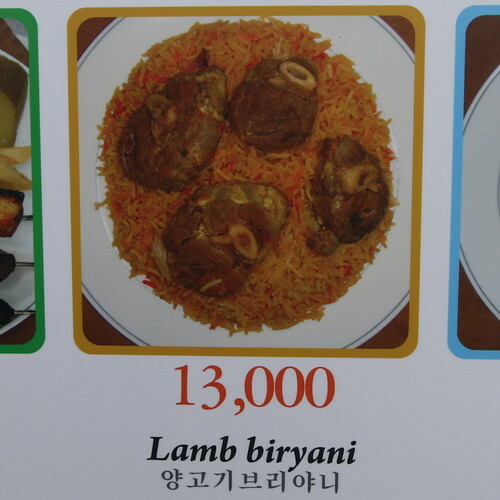 I decided to go for the lamb biryani (13,000 won). I had seen its picture on the advertising outside the restaurant and it looked pleasing enough. 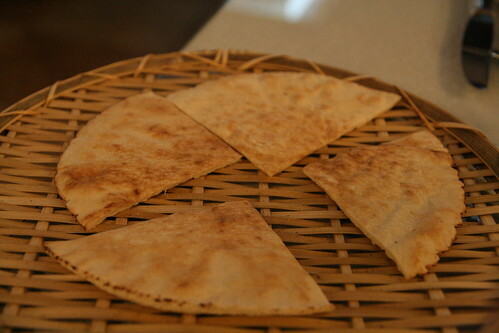 The owner was kind enough to recommend some flat bread (1,000 won) to go with my meal. He was very friendly and the service was speedy. First to come was a complimentary lentil and rice soup. It had a strong black pepper flavour with a hint of middle eastern spice. 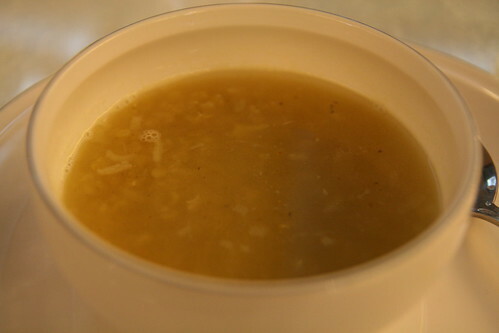 It reminded me a little of weak Korean rice porridge and was a pleasant enough way to start my lunch. 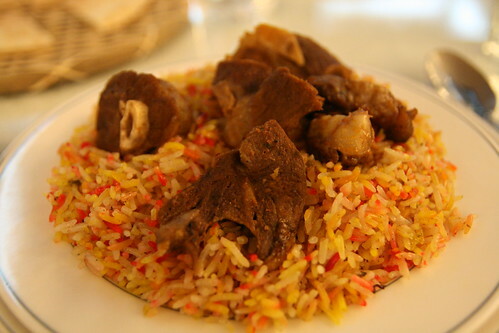 Next, the lamb biryani. Which looked almost identical to the picture outside the restaurant. I had been given exactly what I ordered, which is an improbable occurence in some of the restaurants I have frequented in the past. I have to commend the Arabian Restaurant for giving me exactly what was pictured, but there was a slight flaw to the dish. The lamb was quite tender and well seasoned and the rice, despite being a little too oily, was delicious, but that was it. Apart from the occasional sliver of green pepper skin, I could find neither hide nor hair of any other vegetable matter in the dish. So I was left with a very large mound of protein, oil and carbohydrate with nothing to combat the inevitable artery clogging and central obesity that this kind of meal brings with it. I don't find myself asking this question too often but: Where were the vegetables? No side salad? No wilting lettuce leaf or slice of watery tomato? Not even some juicy little raisins hiding among the grains of rice? 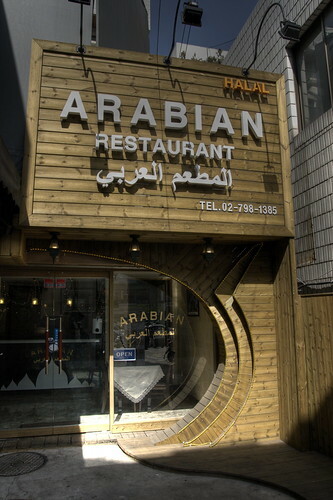 The Arabian Restaurant it tucked in beside Kraze burger just past the Hard Rock Cafe near Itaewon station. You can call them on 02 798 1385.